10.05.2018 Eirich's new Cleanline processors provide a means of mixing, coating, dispersing, emulsifying, granulating, kneading, dissolving, agglomerating, or suspending materials under hygienic conditions in just a single machine. A rotating container feeds the material to be processed to a mixing tool which can run at any speed up to 30 m/s, with or against the direction of rotation of the container, thus permitting precise adjustment of the power input to the specific requirements of the relevant process. This explains how these machines can mix, granulate, coat, knead, and disperse, with processing times in the range of minutes. 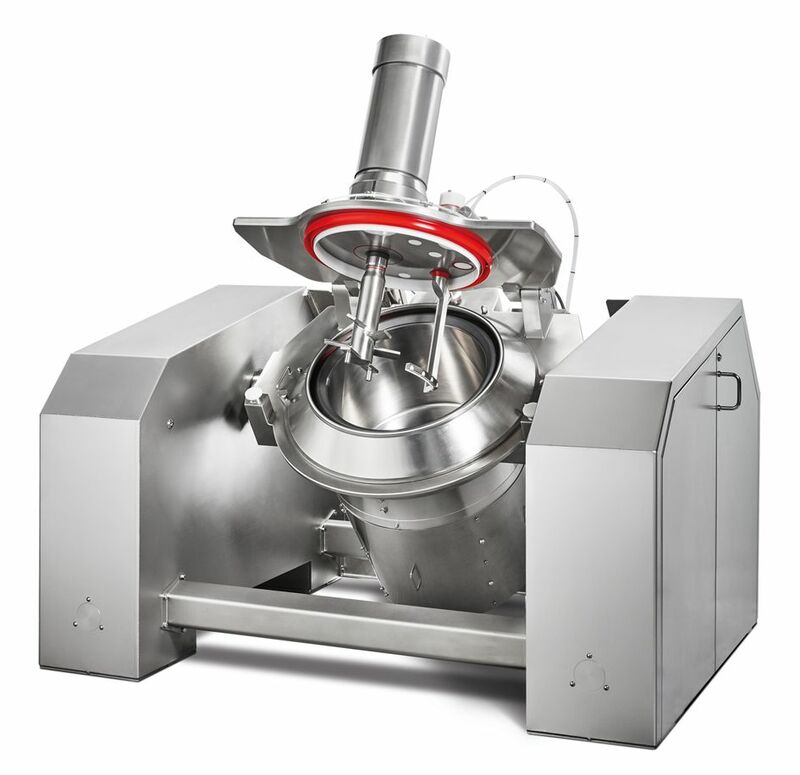 The processors offer maximum control over granulate properties, dry and wet dispersion with maximum deagglomeration, or the processing of high to low-viscosity kneading compounds with selective energy input and reproducible quality parameters. The processor series has been designed with a focus on ease of cleaning and short setup times. Where necessary, heating or cooling can also be provided during processing. CleanLine 50, with a usable capacity of 50 l, is the first machine in the new product line.